The health and beauty of your lawn is important to you. It is important to us as well. With proper lawn care services at Westfall Exteriors will make your lawn the envy of the neighbourhood. Having a healthy lawn is more than cosmetic. A well-maintained lawn can also boost the value of your property. Healthy grass acts as an air filter to improve air quality by trapping air pollution and dust. Finally, lawn care to keep your grass healthy helps other plants in your garden by putting nutrients back into the soil and provides home for birds and other animals. The lawn services at Westfall Exteriors encompasses simple maintenance to extensive landscape design projects for residential or commercial clients. 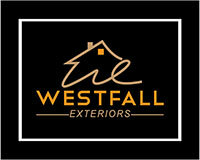 Westfall Exteriors does it all. We proudly service Edmonton and the surrounding area and offer no obligation free estimates for all projects. The list below outlines some of the lawn services offered by Westfall Exteriors. If you do not see what you need on the list, just contact us! Get your grass and landscape looking its best with Westfall Exteriors lawn care packages. Contact us today for a no obligation, free quote for your next project.